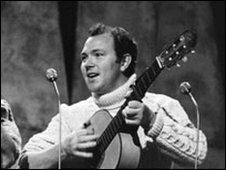 Birth of Liam Clancy of The Clancy Brothers and Tommy Makem fame. The Clancy Brothers and Tommy Makem shot to fame after appearing on and his brothers on The Ed Sullivan Show in 1961. Scheduled to perform two songs, they were forced to extend their appearance when the show’s headliner canceled. The following year they sold out audience. After the Clancy brothers stopped touring / broke up, Liam and Tommy Makem commenced touring as Makem and Clancy became a hugely suffesful duo winning world wide acclaim for their mixture of Irish and international folk songs. An estimated 2,000 IRA men were interned in the Curragh Camp during the duration of the war.